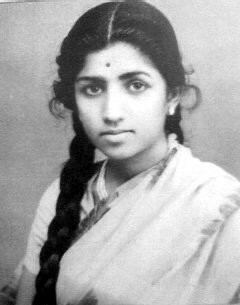 When I did the Rafi in Ten Moods post a few months back, Stuartnz suggested I also do a Lata Mangeshkar post sometime. It’s taken a good deal of thought, since—like Rafi—Lata also has such a huge corpus of work, it’s impossible for me to pick my ten favourite songs. This, therefore, is the easy way out. It’s a list of ten songs in ten different moods. Not Lata’s ten best songs, but ten songs that showcase her voice, in every emotion from joy and playfulness to heartbreak and deep sorrow. These are all from pre-70’s films that I’ve seen (Pakeezah is the exception, but I never count that as a 70’s film—for me that’s very 60’s).